Acadiana Humane Society is excited to share that Kelsey Ann Photography is who we recommend for family and pet photos! She specializes in outdoor, natural light, and studio photography for your lifestyle and wedding photographs. 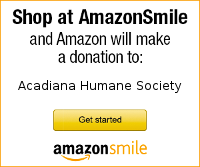 Kelsey Ann Photography also donates regularly to Acadiana Humane Society with a portion of the money raised from her photo sessions. Please check out Kelsey Ann Photography on Facebook and on her website. If you book a photo session, please be sure to tell her that you heard about her from Acadiana Humane Society! While Kelsey has moved to Colorado, we miss her and still wish to send our followers in Colorado to contact her for your photography needs. Thank you!